Could TAILS be the most secure operating system? TAILS, The Amnesic Incognito Live System, is a free unix operating system that prioritizes security and privacy. Whether you’re a political dissident, journalist, lawyer, or something else, TAILS might be what you need to protect your secrets. Learn more at https://tails.boum.org/index.en.html. This entry was posted in Uncategorized on by rhoffa. requests, the department said Tuesday. There’s been a lot of concern in the past few days about Signal being compromised in light of the WikiLeaps CIA dump, but the bottom line is that any compromise is likely within your phone itself and has nothing to do with your secure messaging app, the encryption it uses, or the messaging company’s servers. In other words, the cache reminds us that if your phone is hacked, the Signal or WhatsApp messages on it are not secure. This should not come as a surprise. If an intelligence agency, or a nosy sibling, can get you to install, say, a “key logger” on your phone, either one can bypass the encrypted communication app. But so can someone looking over your shoulder while you use your phone. That is about the vulnerability of your device. It has nothing to do with the security of the apps. One of the most important things to remember if you or a loved one is locked up in jail or prison is that every phone call is recorded and will be used against you. Prosecuting attorneys and cops have carte blanche access to these recorded calls and prosecutors have been known to stay up late at night in the days before trial listening to every call a defendant has made in order to find incriminating statements. Often people will try to talk in code or otherwise obscure what they’re saying, but the cops always figure out what you really mean, and the prosecutor can easily explain it to the jury. Particularly notable within the vast trove of phone records are what appear to be at least 14,000 recorded conversations between inmates and attorneys, a strong indication that at least some of the recordings are likely confidential and privileged legal communications — calls that never should have been recorded in the first place. The recording of legally protected attorney-client communications — and the storage of those recordings — potentially offends constitutional protections, including the right to effective assistance of counsel and of access to the courts. The ability to talk to your criminal defense lawyer without the fear of being eavesdropped on or recorded is one of your fundamental rights. Call or text Joe Welch securely using Signal. faith of the pastor – Stltoday dot com. American… – Stlamerican dot com. This entry was posted in Confidentiality on by rhoffa. If you are a high-risk user whose safety might be compromised by a single revealed message, you may want to consider alternative applications. As we mention in our Surveillance Self-Defense guides for Android and iOS, we don’t currently recommend WhatsApp for secure communications. But if your threat model can tolerate being notified after a potential security incident, WhatsApp still does a laudable job of keeping your communications secure. And thanks to WhatsApp’s massive user base, using WhatsApp is not immediate evidence of secretive activity. A police officer will often request that you get out of your vehicle after pulling you over, and most people comply without giving it a second thought. What, exactly, are your rights when a cop asks you to get out of your car? In Missouri a police officer has the right to order you out of your car after pulling you over for almost any violation at all. If that little light above your license plate is burnt out, you can be pulled over and be forced to get out of your vehicle. You do not have a right to refuse to get out of your vehicle, and the officer can then proceed to ask you a few specific questions regardless of whether they have any reason to believe that you’re breaking the law. It’s a good idea to always have your license and registration in a safe and convenient location. If you fumble for your paperwork or can’t find it, officers are trained to assume that you’re intoxicated, and can use this to detain you longer, ask you more questions, and possibly search your vehicle or arrest you. Almost everyone keeps their registration and proof of insurance in their glove compartment, but screwing around with your glove compartment with a police officer outside your door is a good way to get shot, because the glove compartment is also a convenient place to store a handgun, and this is one thing that every officer is concerned with, and rightfully so. Keep your registration and proof of insurance easily accessible in your glove compartment so you can have it out and ready before the officer walks up to your car. And sometimes it’s a good idea to leave your glove compartment open after you remove your paperwork so the officer can see that you’re not trying to hide anything in it. 2. Sitting in the police car. A police officer in Missouri may also require you to sit in his or her police car after stopping you for a minor offense. In most cases they only do this if they suspect that you’re up to something illegal, but legally they don’t need a reason. The justification for their right to hold you in their car is to ensure the safety of the officer, an important reason, even though its legitimacy is questionable and the power it grants officers is ripe for abuse. As I said before, the officer doesn’t need a reason to make you sit in the patrol car, and they often use this power when they suspect you’re up to something and want to intimidate you into allowing them to search your vehicle or confessing to something. It’s often a good idea to lock your car in these situations- the officer must obtain a search warrant to search your locked car, and it’s more difficult for the officer to lie and say you consented to the search. By having your license, insurance, and registration ready before the officer walks up to your car you’re all set if the officer requests you to get out of the car, and neither you nor the officer should have any reason to get back into it unless the officer has a reasonable suspicion that something illegal is going on (I mean, aside from the illegal traffic stop and violation of your constitutional rights, of course). 3. Where are you going and what are you doing? The officer also has the right to ask where you’re going and what you’re going to do there. In most cases the “where” part is easy because you’re going home, or to work, or a friend’s house, or whatever. A short, simple, and truthful “home”, “work”, or “my friend Jack’s house” (if that is his real name, of course) is often a safe answer. If you’re going somewhere that you’d rather not mention to the officer (like, a bar, or club, or a subversive political meeting), then the negative answer “nowhere unlawful” might be good. If you’re going somewhere illegal, like if you’re going to be trespassing or vandalizing a church or something, then… well, you’re a bad, bad person and should probably atone for your life of crime. As for what you should say when the officer asks you what you’re going to do at your destination, the best answer is usually “nothing unlawful”. And as always, nothing in this post is intended to be specific legal advice in Missouri or anywhere else. 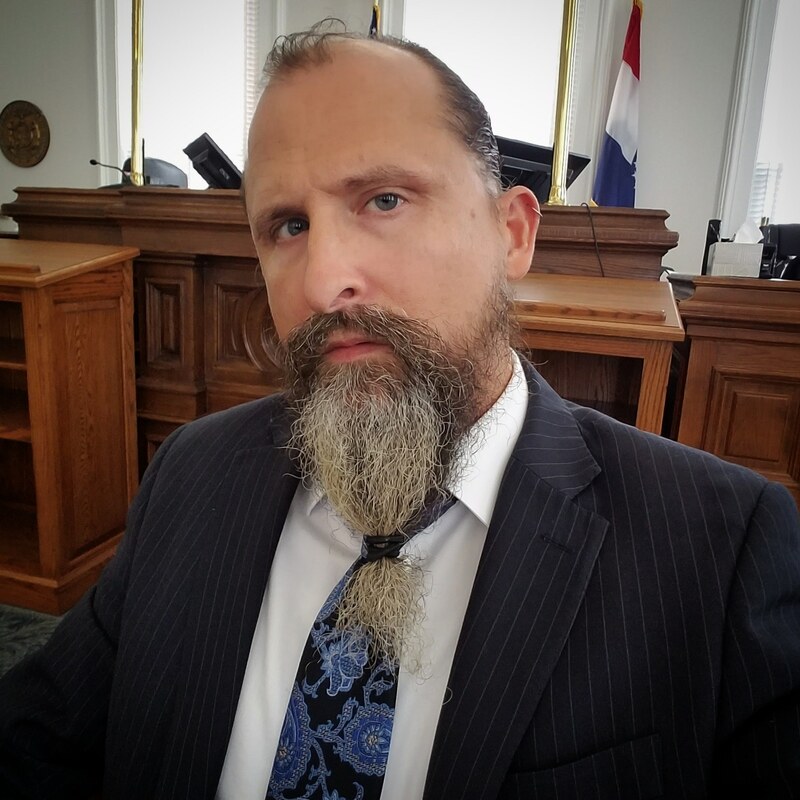 Every traffic stop and case is unique, and if you have a question about your rights or get pulled over contact Joe Welch for a free and confidential consultation. Originally published on FightTheTicket.com September 2006. How do police decide if you’re drunk? Police officers in Missouri and most other states are trained in DWI detection methods based on standards created by the National Highway Traffic Safety Administration, a federal government agency that helps reduce accidents and fatalities on the nation’s highways. The NHTSA guidlines break DWI detection down into 3 phases, before the driver pulls over, when the officer makes first personal contact, and when the officer gives the field sobriety tests. The first phase involves the officer observing the driver and vehicle in motion before being pulled over. The NHTSA mandates that officers should consider such factors as the driver weaving in his or her lane, failing to pull over in a timely manner, or slumping over the steering wheel when deciding whether or not someone might be intoxicated. The second phase involves the officer makig personal contact with the alleged intoxicated driver. The NHTSA guidlines state that the officer should observe the suspect as he or she gets out of the car, and considers factors such as odor (alcohol, breath mints, tobacco, marijuana), stability (i.e., leaning on the car, falling over, etc. ), and ability to follow directions. Many people are surprised to find that officers are specifically trained to observe the ‘cover up’ odors of breath mints or gum and use them as evidence that someone is intoxicated. The third phase involves the standardized field sobriety tests such as the Walk and Turn, One Leg Stand, and Horizontal Gaze Nystagmus test. If you get arrested for Driving While Intoxicated in Missouri you need an attorney to fight for your rights. If you or someone you know is arrested please contact Joe Welch immediately for a free and confidential consultation.